I received a lovely email recently from Yvonne, who chairs the Birtley Heritage Group. Birtley is a small district near Gateshead, and has a thriving community sense, partly because of its mining past I suppose. The group had asked me to work with them on producing a ‘map of Birtley memories’ – planned as a mix of the realities on the ground and of internalised impressions of the area. Psycho-geography, some call it. 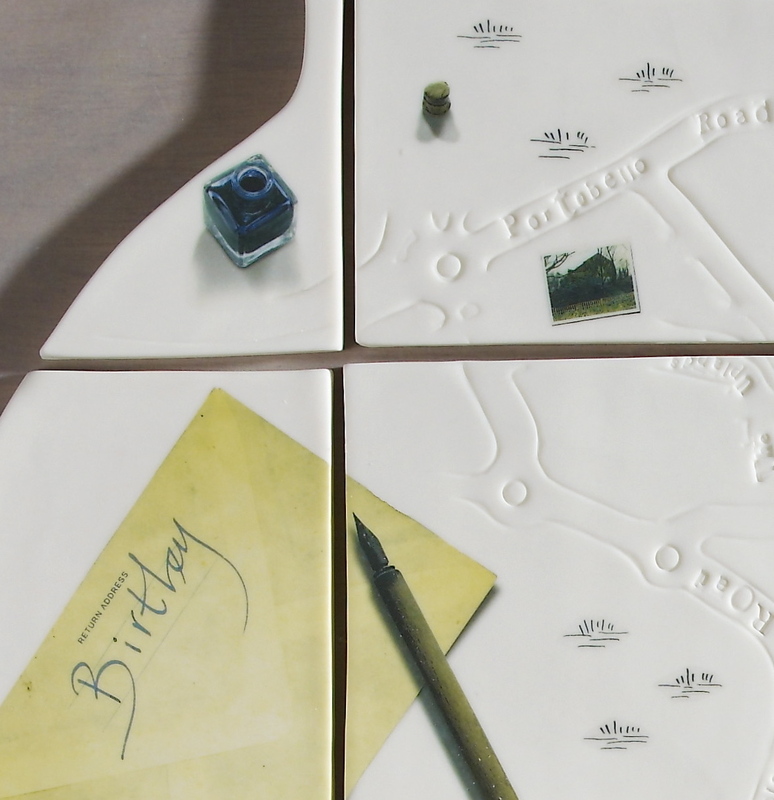 It was a fascinating project – which I thoroughly enjoyed working on with them -, and out of it came a porcelain tile-map (you can see in the picture below a detail from the map). The group were so happy with the work – as were the Gateshead authorities – that plans soon were put in place to have it erected in the Birtley Library garden as a centre-piece there. I have even been able to create an additional large tile (which depicts the members of the group) that is ready to be put up alongside it – so the whole installation will be a permanent tribute to the group as well as the district. Because the work was finished off in my studio, I am looking after it, so I was daily expecting a call to take it over there to be installed. But – thank goodness! – Yvonne says she’s confident now that all the hurdles have been jumped, and we may even see the piece in place in the next few months. It will look fabulous. Of that I’m sure.